+$Make your own high quality videos for less. +$You don't have to pay a fortune hiring someone to create professional-standard videos – just make them yourself with Wave.Video. 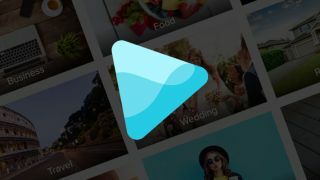 Lifetime access to this streamlined content solution typically retails for $495, but it's currently on sale for an amazing 94 per cent off at just $29. +$Wave.Video lets you produce your very own high quality videos easily without all the complex steps of other software. Not very savvy when it comes to the camera? No problem. Wave.Video makes it easy, allowing you to create 720p HD video clips up to one minute long. There are even 1.5 million stock videos, images and sounds to help you execute your creation perfectly, without having to worry about copyright infringement. +$Once you've created your masterpiece with Wave.Video, just download to .mp4 or resize your projects to 11 popular formats to share on the platform of your choosing. That means publishing to YouTube, Facebook and more is just a few clicks away.